How Online Businesses Can Increase Customer Lifetime Value? Acquiring new customers is vital. However, a perspective which many of you miss is that for a business to be more successful, the most critical task is to develop long lasting customer relationships. That’s where the concept of customer lifetime value comes into play. Customer loyalty and customer retention and generating repeat customers is of utmost important for any online business. Hence, if you do not look at the value from customers you acquire and nurture, you are missing out on a critical piece of the success jigsaw. What is Customer Lifetime Value / What is CLV? Customer lifetime value (CLV) or CLTV or LTV is the estimated net profit a company can fetch from a customer’s business transactions in future before they churn. In other words, it is a predictive monetary value that can come through the customer relationship in future. CLV is the most important metric for every ecommerce business. Customer lifetime value assesses the financial value of each customer or his top spending power. If calculated currently, CLV can provide great insights into how much the customers spend, how much recently and how often. Also, it provides an insight into what are some of the perks or programs that further encourage their spending and retention. CLV calculation is mostly empirical and may use complicated and analytical prediction methods Let’s look at some of the most common approaches. This formula is the simplest way to calculate customer LTV. But, this CLV formula is too simple, age-old and does not give correct results as different customers may have different future relationship with the company. This is further elaborated to find out average customer value and then the CLV. This formula is the most commonly used and probably the most correct LTV calculator. In this customer lifetime value formula, average recurring revenue per user is the total revenue given by the customer divided by the number of months old the customer is. The churn rate implies the number of customers who leave the company or the churn can be simply referred as the “lost customers”. To calculate LTV this way, if the customer spends $200 per month on an average with an ecommerce company and 5% is the churn rate, the lifetime customer value would be $4,000. So, his expected lifetime is 20 months ($4000 / $200). Why CLV is useful for ecommerce businesses? FACT: It is undoubtedly hard to calculate LTV but it also undoubtedly helps managers decide where they need to allocate company’s resources and also forecast budgets and expenses of activities such as customer acquisition, advertising, marketing, etc. This lifetime value formula helps e-commerce businesses to identify the most profitable customers. Hence businesses must focus on creating value for the customer and also devise customer retention strategies rather than just selling products to customers. One real life business that pays attention to CLV is Starbucks.They have outlets almost everywhere. Also they offer nice interiors, free Wi-Fi, exposure to premium products, etc. Starbucks provides all these facilities with an intention to provide value for their clientele and not just sell a cup of coffee. An E-consultancy survey revealed that more than 58% of businesses were not able to calculate lifetime value or correct CLV. Calculating correct CLV is a tedious task with a high degree of difficulty. The formulas are often confusing and it may take serious efforts to effectively or accurately calculate CLV. Since there are a number of ways to calculate CLV, there are varied opinions. While some would like to subtract the cost of acquisition before calculating CLV, some may not. Some may also give due diligence to the theory of profit margin in calculating CLV, while for others this idea won’t work. This often causes disputes and results in a deadlock. How to overcome difficulties & improve your CLV? Here’s an example: One ecommerce giant named Flipkart started an online venture by offering books at a discount rate. Gradually, they expanded in many segments and they started offering most of their products at discounted rates. This became their USP and they acquired many new customers. Due to product diversification, the frequency of purchase by the customers increased manifold hence improving their CLV. One of the best ways to increase CLV is to measure it and understand it. And what if it’s readily available to you without you dealing with large customer database and calculating wrong clv using the formulas every now and then? Thus, smart insights and readily available growth metrics provided by Putler can be your arsenals for success. 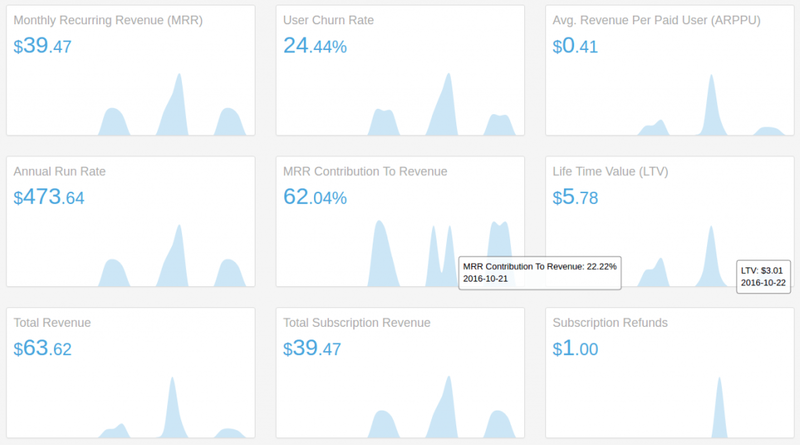 Putler’s subscriptions dashboard brings up the customer lifetime value along with other subscription metrics which you need to grow your business. Moreover, Putler’s Recency Frequency Monetary (RFM) analysis is an ideal model for perfect customer segmentation. 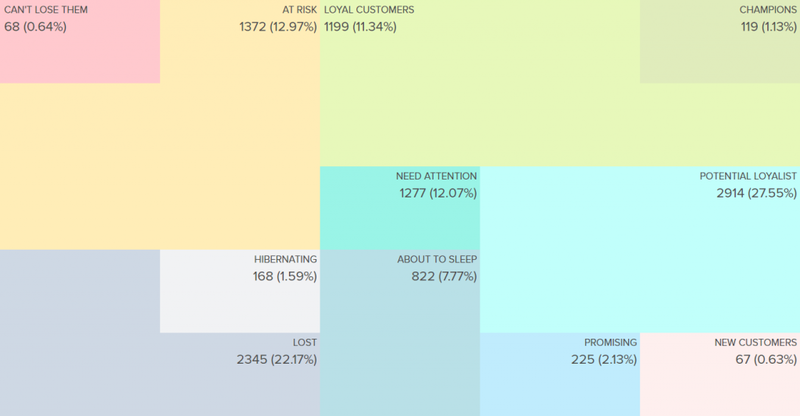 This auto generated customer segments help ecommerce businesses find their best customers. Also it’s proven that targeting marketing promotions to such segments result in higher conversions. Accurate e-commerce analytics, more than 153 metrics and reports, personalized growth ideas and visitors monitoring. A free 14 day trial, which marketers can avail to understand how Putler best fits their business. When calculated correctly, the business has a better idea of exactly how much the customer is likely to spend in the coming times. CLV also inspires you to find new ways of formulating different programs and perks that may please the buyers even more to create customer delight. A delighted customer is a loyal customer and he will have a better and a longer future relationship. Thus making a profitable proposition for an ecommerce business. This helps in increasing sales and results in customer profitability. A happy and satisfied customer also creates a favourable word of mouth generating the possibility of more customer acquisitions. Also, knowing customers having lower CLV helps businesses alter their strategies and give a shot to extract more money from these customers. CLV also helps to identify churn rate and increase customer retention. Once a company recognises its most profitable customers using CLV, it can optimize the allocation of resources to maximize profits. Businesses can take help from Putler to automatically calculate RFM scores and discover complete details of each customer segment. Give free trials to the recent buyers. Send a tailor-made email with a personal touch to several buyers to build a better relationship with them. Ready to Increase Your Business LTV? Putler is a great tool for all the ecommerce businesses. It helps the ecommerce businesses to have a detailed insight on many variants like sales, customer hits, products etc. Putler’s RFM combines the three most important business attributes to correctly target the customers. RFM analysis tells companies whether the customers are on the verge to churn, which segment must be retained, who are the loyal customers, and which segment of the customers must be targeted for a better CLV and hence a better revenue.